Hey guys, How fast has May went, Not that I am complaining since June is super exciting for me!! So once again it is that time of month again.... Here are the products I have been loving in May. Nail Care... As you might of seen from my Nail care Haul/review I purchased a few items to help take care of my bad nails. 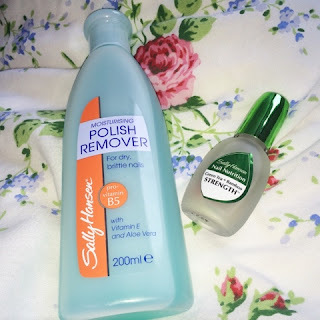 Using the Sally Hanson Strengthener has really helped strengthen my nails. I can feel my nails are a lot stronger and they are not breaking at all. Plus using the Sally Hansen Polish Remover has really helped with recovering my nails. Carrying on from nail care, I have been loving a French Manicure. Ever since my nails have improve I have had more patience to spend time on them. I absolutely love how a French Manicure looks. I have been using Essie 'Romper Room ' or Tanya Burr Mini Marshmallow with Essie 'Blanc'. Coconut oil. I rarely have hair care products in my favourites because I never put a lot of effort into my hair. I wash and dry shampoo it and that is about it!!! But I have a wedding in July and I really want my hair to be in a brilliant condition, as well as longer. My cousin recommend Coconut Oil to help grow my hair. 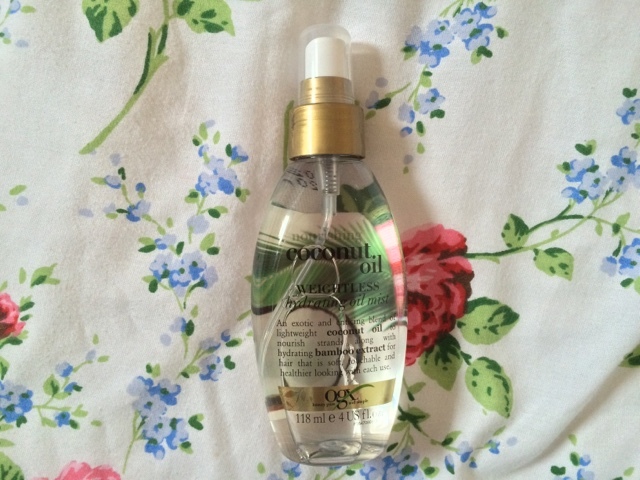 I bought OGX Weightless Hydrating coconut Oil. I can't really see hair growth so far but it has really made my hair feel super nice. It also smell so lovely, I would highly recommend. Zoeva 234 Luxe Smoky Shader brush. I bought this brush a while ago but have been loving it this month. Firstly I love the colour, it is so pretty. 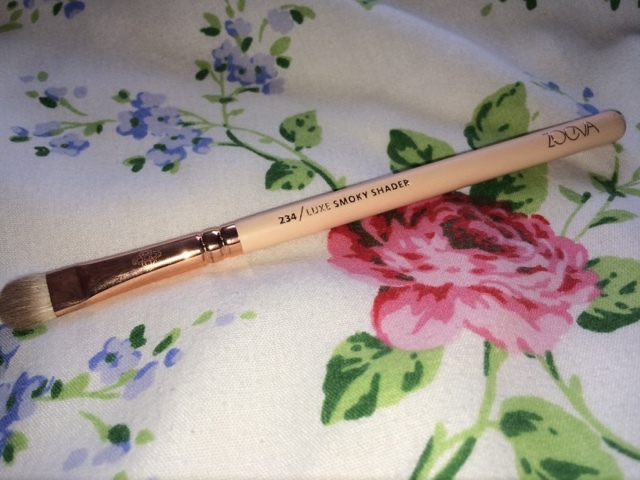 Secondly, I have been wanting a Zoeva brush for a long time so I am thrilled to have it in my collection. Thirdly, it is a very good brush. It is so easy to pack my lid with colour, as it holds a lot of shadow on the brush. It is super soft and I am in love with it. In terms of TV programs I haven't had any new stand outs, apart Once Upon a Time, but that was in last months favorites. I have however been loving Spotify Chill Out Playlists. I have always stuck to the albums I am familiar with but I venture out and found the best laid back playlist. I love to have it on in the back round, whether I am reading or writing. In fact I have it on just now. It is so calming and 'Chill' Two sounds that have stood out and I have played on repeat are Kodeline- The One and John Mayer cover of XO. 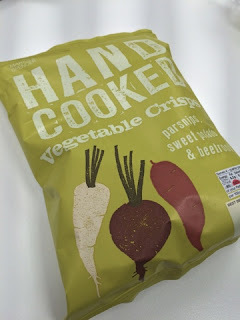 Last but not least I will mention my food favourites. As you can tell from my last post, I have been loving Corn thins with Almond butter with Strawberries. But Vegetables Crisps HAS to be my number one this month. I could seriously live of them. I don't know if they are the healthiest things to eat but I don't care ;) Marks and Spenser or Costa Coffee probably do the best. I am so excited about the next coming months, I have a lot of ideas for blog posts. 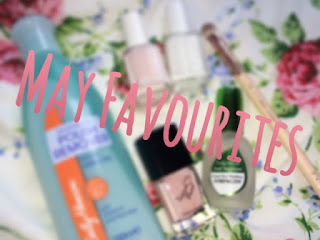 What have been your May Favourites? Let me know?